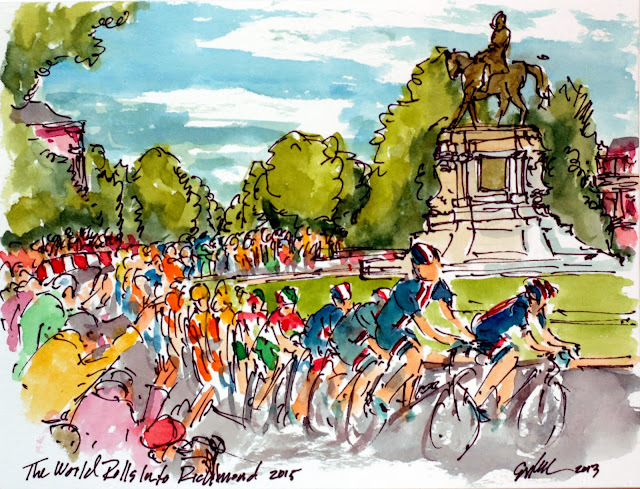 It is still a long way off until the world rolls into Richmond, Virginia to vie for the 2015 Rainbow Jersey, but all of us cycling fans can't wait. As you most likely know, I spent last season painting a number of the big tours of the Pro Tour calendar along with some of the shorter 7 day stage races. 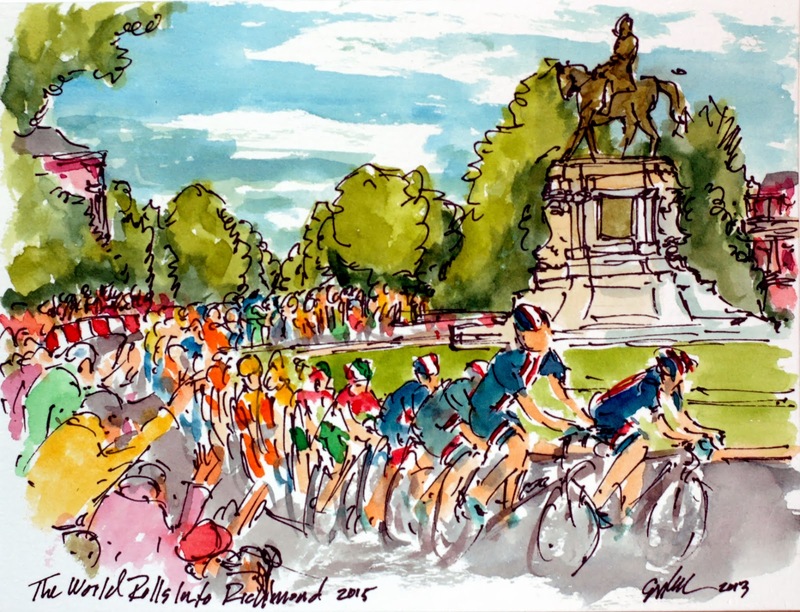 This is a painting fantasizing about what it will be like as the Elite Men contest the World Road Championship snaking their way through the streets of my adopted home town. So while we are all waiting for the start of the 2014 Pro Tour season, enjoy this little guess what the 2015 Worlds will look like (and yes, I did stick Team USA on the front as they rip down Monument Avenue).